Applications for additive manufacturing are multiplying and have now penetrated most sectors, including transportation. 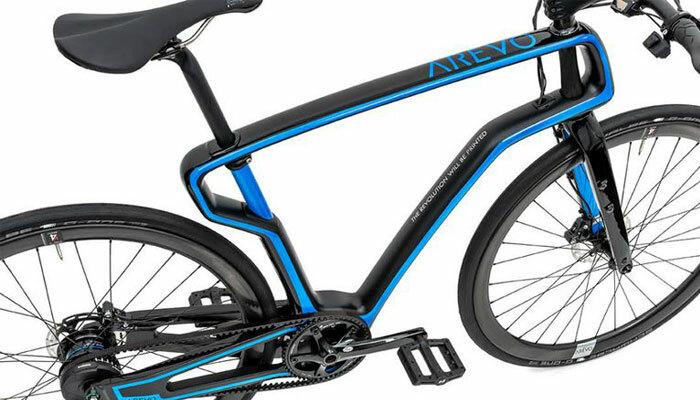 The US start-up Arevo has unveiled a bicycle with a 3D printed frame using a carbon 3D filament. The advantages of carbon fibre are well known. A component of our ABS Carbon and PEKK Carbon filaments, it makes the 3D printed part both stronger and lighter, and even as robust as titanium! So it is an attractive material if you are seeking to enhance the performance of your product while reducing weight. It also suppresses vibration during cycling, which is mainly why Arevo turned to additive manufacturing. 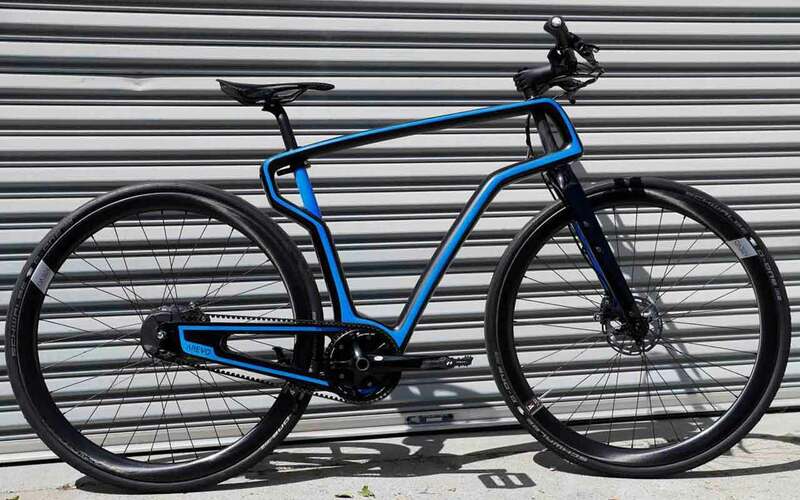 The start-up printed this single-piece bike frame within just 2 weeks. It is a much quicker manufacturing method than the traditional process consisting of assembling strips of carbon fibre. The frame was produced on a 6-axis printing platform created by Arevo. It consists of a robotic arm, a turntable and a laser that heats the thermoplastic layer by layer until the desired form has been obtained. Arevo confirms that it has been able to reduce its production costs by a factor of 4 while also reducing production time. The finished part is therefore reported to have cost just USD 300. Above all the start-up was able to design a part of original form. This aspect would have been more difficult to obtain using traditional methods. The new CEO of Arevo, Jim Miller, wanted to demonstrate the potential of their 3D technology and software. In fact, bike production is not their primary or original mission. But Arevo is able to offer bike customisation in terms of size, colour and style. A great opportunity for all cyclists! Are you interested in additive manufacturing and carbon 3D filament? Then contact our sales team who will be pleased to help you choose the right 3D printing filament.